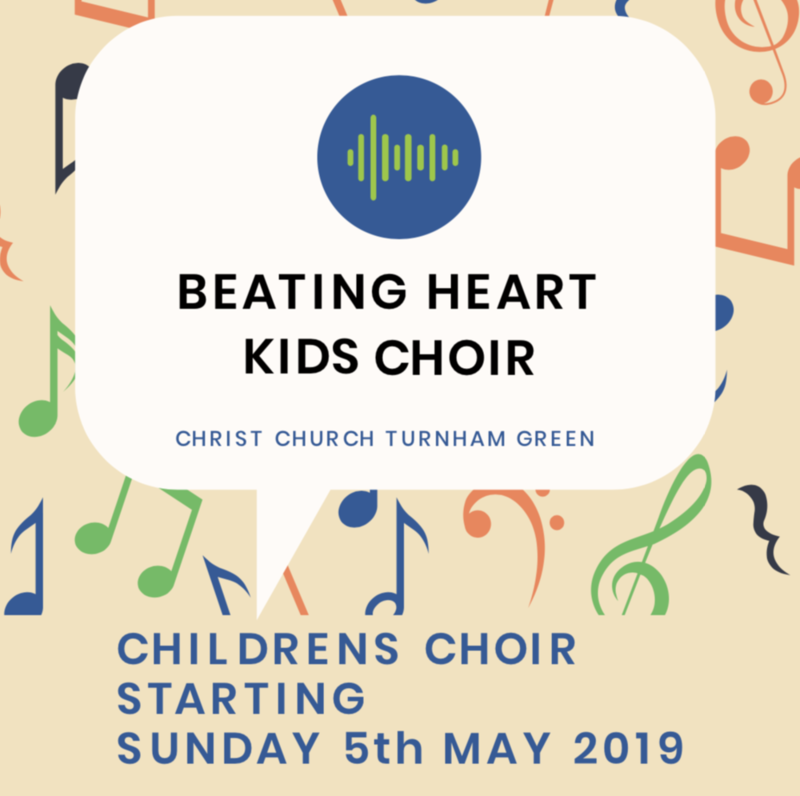 Christ Church W4 are excited to announce a new singing club for children ages 5 to 13 starting Sundays in term-time from May 2019. Register your children at the bottom of this page. Christ Church Turnham Green, Chiswick, W4 5DT. Beating Heart Kids Choir is not about dusty old hymn books, long robes and a tempo to put anyone to sleep. This church choir offers something a little different. Beating Heart Kids Choir promises to provide the building blocks of vocal technique, musicality and harmony singing in a fun and engaging environment, members even receive their very own t-shirt. The Choir songs are inspired by the Christian faith, and carefully selected to uplift, encourage and inspire. Each song is musically arranged for young singers to enjoy. Choir Director Rachel Button, a vocal coach and musician with over 10 years experience and a Masters in Music Performance, is all warmed up and ready to encourage the next generation of singers in Chiswick. Choir sessions will take place from the start of the brand new 9.30am ‘healing service’, and will be held in the upstairs rooms at Christ Church Turnham Green. Children will come down for the final part of the service to help lead the congregation in the final hymn/song and on some weeks perform a set choir piece during the distribution of communion. e.g. ‘O Happy Day’ is planned to be sung on 9 June - which is Pentecost Sunday - the birthday of the Church. Optional extra performance opportunities will also be offered to choir members throughout the year. Adults are invited to sign their children into the choir at the beginning of the service. A staffed creche is also available throughout the service for 0-4 year olds. The service is short and informal, and there is no dress code or other expectations on anyone who choses to attend and hear their children sing. People of all ages, beliefs and backgrounds regularly attend Christ Church and we aim to provide a warm and friendly welcome to all. The children are your responsibility once they have sung the final song, but there are refreshments after the service and many of the children like to stay around, talk to each other and use our soft play. The Choir’s hope is for every child to be given the opportunity to sing in a choir. Therefore we don’t have a membership fee! The suggested donation is just £50 per term per child. It doesn’t matter if you can’t make every week, but regular attendance helps the child grow in confidence and familiarity with the material. The first two sessions in May are free taster sessions, places are limited so please do book!